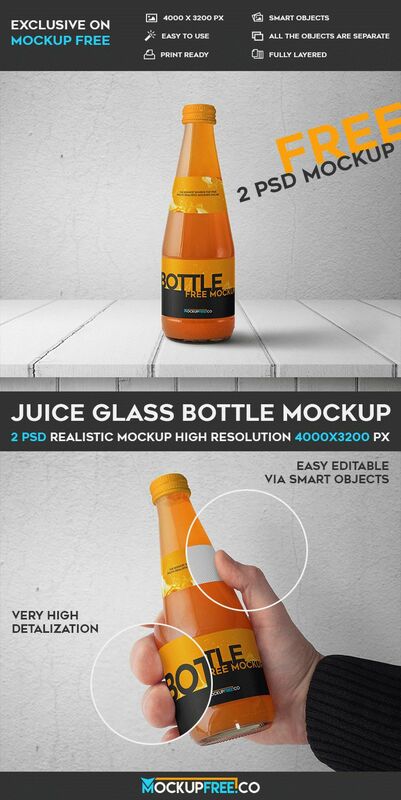 Download Juice Glass Bottle – 2 absolutely Free PSD Mockups for your business and implementing special ideas. These free PSD mockups that are print-ready products can be customized using Photoshop. Have no problems with fully layered mockup where all the objects are separate. Hope this awesome mockup will be useful for you!